We live in an age where almost anything can be purchased with a click, but for the time being, if you want a bag from Moynat, there’s only one place to get it and that’s the new shop at 348 Rue Saint Honoré in Paris. 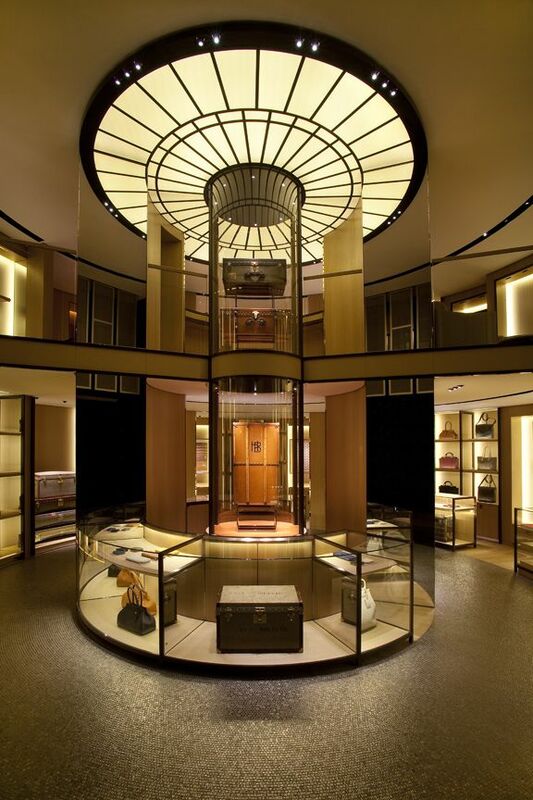 Moynat is quiet, so quiet that hardly anyone had heard of it when the doors opened last Saturday. The illustrious French malletier (luggage maker), founded in 1849, is just slightly older than its fashion revival contemporaries—the powerhouse Louis Vuitton, established in 1854, and and trendy Goyard, 1853. Judging from the way Bernard Arnault has kept the relaunch top secret since acquiring the brand last year, Moynat is headed on a very different trajectory. Its brand details worn discreetly, and its contemporary, streamlined style subtly referencing the past, Moynat’s bags and leathergoods for men and women—designed by Ramesh Nair, who has worked previously with Hermès, Christian Lacroix, and Yohji Yamamoto—are far removed from the “it” bag. Nair began the collection only a year ago. “I saw four trunks, but I had absolutely no idea about the brand. It was carte blanche and we were on the road,” says the soft-spoken designer, who developed clever handles, a Moynat specialty, and little details like hidden exterior pockets on a travel bag to hold tickets. All of this discreet perfection does not come without a price. Tote bags start at $1,135, handbags range from $3,340–6,680, and exotic skin rings in at over $30,000. At $200, the silk Moynat pocket square is a relative bargain. Gwenael Nicolas, of Curiosity in Tokyo, designed the store’s interior in a circle, like a merry-go-round, with a metallic mosaic floor that looks like water and a two-story central columnar encasing a collection of original trunks which appear to be floating in mid-air. Guillaume Davin, previously with Louis Vuitton in Japan, sounds more like a curator than a businessman when talking about the luggage maker now remembered by only a few senior aficionados. “Moynat is a piece of French patrimony that’s been sleeping for the past forty years. We’re here to revive the quality and tell the story.” That, according to Davin, begins with a color: a particular shade of warm brown called Havane, one of Moynat’s trademarks, which the team painstakingly transcribed from its growing collection of original trunks. For Davin, Moynat’s rounded trunk shapes, designed to fit around the curves of the first automobiles, are “more like cabinetry than leatherwork.” Nair has mimicked the house’s curves in wallets and bags. Luggage is available to order in the original style, with nails placed tightly, precisely 7 millimeters apart, a trademark. And clients can bring their antique Moynat trunks to be recovered in the waterproof Indonesian sap-coated canvas, based on the original Gutta-Percha patented in 1854, and covered in a re-edition of the powdery finish hand-printed M-initialed metallic pattern designed by artist Henri Rapin in the early 1900s. By carefully working his way through the past, Davin discovered that Moynat’s popularity stems from its “robust lightness,” including constructions in wicker, or an interior lattice of wood and metal—innovations designed to meet weight limitations on French trains at the time. A bicycle picnic basket is on the drawing board for spring.